Angular is a Component-Based Framework. A component has a view, logic, and data as one unit. The view is responsible for the display of the component. The model is defined in the component class. The component class interacts with view to display data and reacts to user interactions. The component class also interacts with services to retrieve data and save user inputs. Angular uses Services for data or logic that is not associated with a specific view. Services fetch data from the server. Service class keep your component classes lean and efficient. Spring is the de facto standard to build Java web application. Cas is a widely used Single sign-on, open source Java project. A front-end toolkit for rapidly developing web applications from Twitter. It provide web developers with a stylish popular components such as buttons, grids, navigation and it everything else you need to build a beautiful front end. Why do I choose and promote Bootstrap? I am a senior Java developer and I have ten plus years of web development experiences. I have some basic CSS knowledge. However, I always rely on CSS developers to choose their favorite CSS components to do the web page layout and beatify our web application. I am very excited that I can build a great look web site myself very rapidly now. 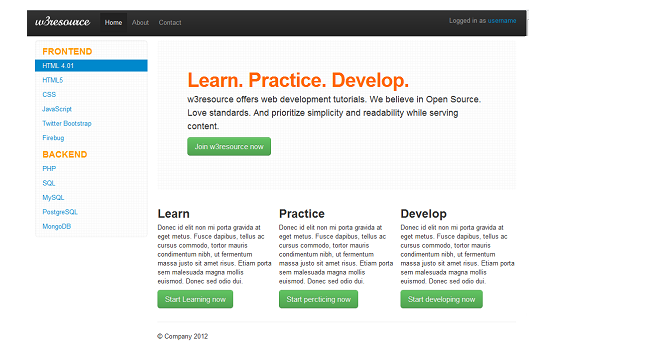 Bootstrap is easy to use CSS framework. 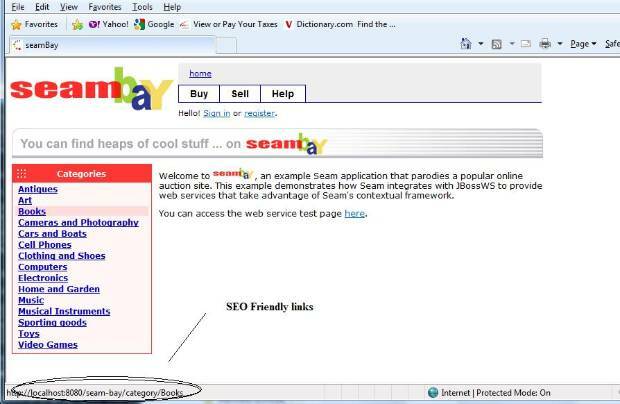 Restful is popular alternative to SOAP web service and It is easy to use. How do you secure your restful web service? Because each restful request is a stateless request, so you can’t use standard login page to authenticate a user anymore. The solution is to use Http Authentication header, spring security framework. 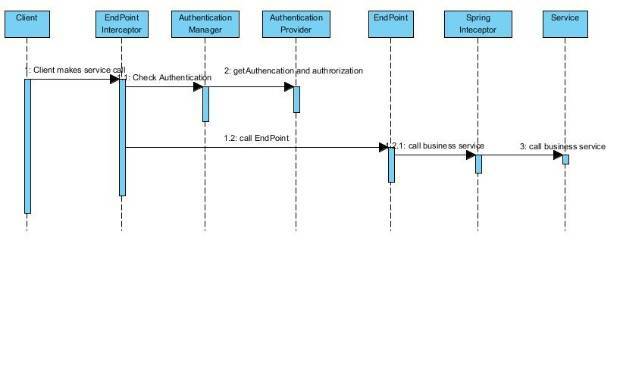 This diagram show Spring Security can protect your Java server side resource. The Client makes a request to the server side service. 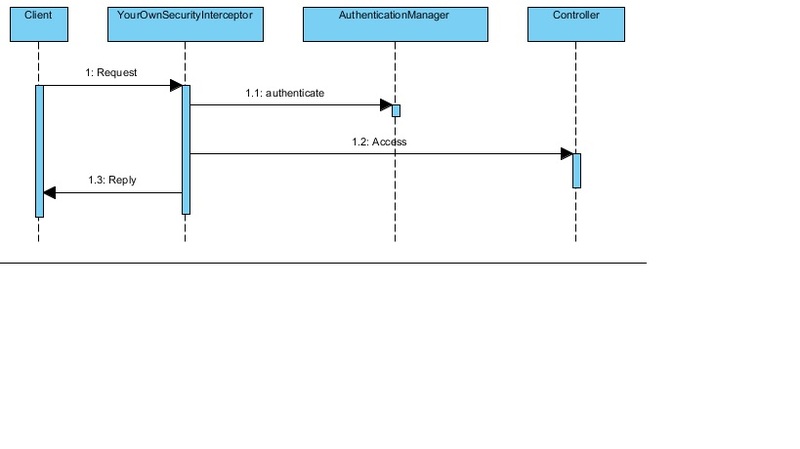 YourOwnSecurityInterceptor intercepts the request and extract the Authentication header. YourOwnSecurityInterceptor calls AuthercationManger to authticate the user. How do you protect server side resources to allow only certain authenticated users to access? Because each restful request is a stateless request, so you can’t use standard login page to authenticate a user anymore. The solution is to use Http Authentication header and spring security framework. 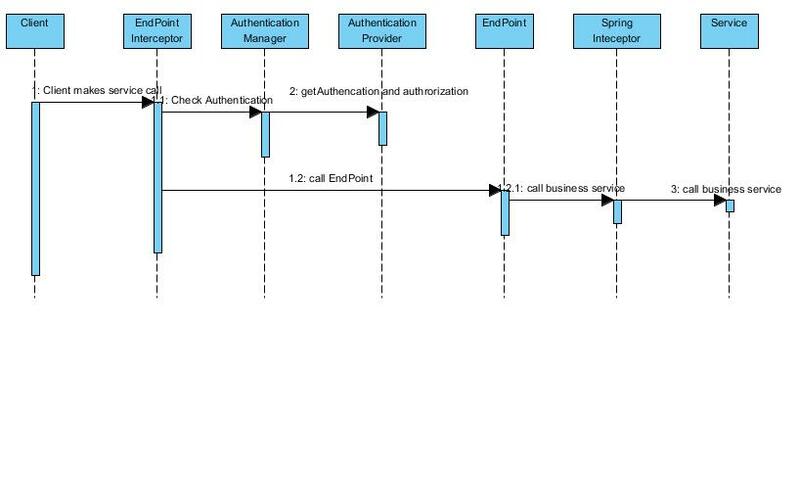 Spring FilterSecurityInterceptor intercepts the request and extract the Authentication header. Spring FilterSecurityInterceptor calls AuthercationManger to authticate the user. Spring FilterSecurityInterceptor use AccessManager to decide if the system is going to allow the user to access the protected resource. Spring MVC allows you to receive the GWT request, process the request and returns data in JSON format. GWT team has already provided documents describing how to create client requests and how to process JSON reply. I am going to show you how to use Spring Framework to process the GWT request and return JSON data. 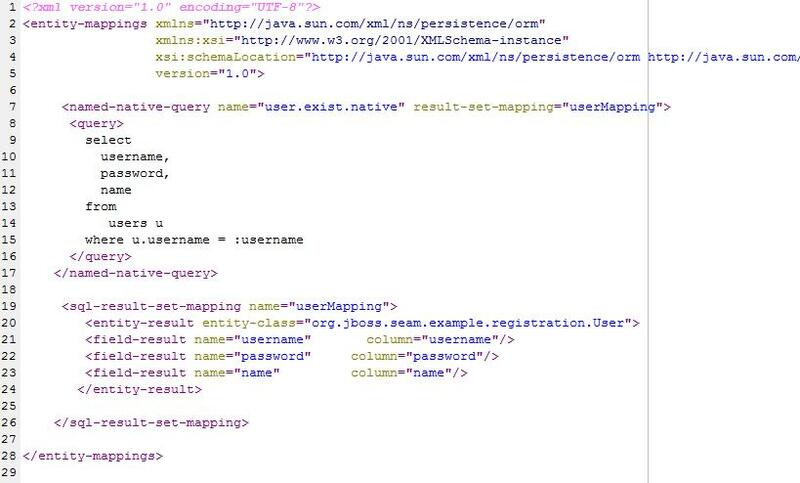 Add Jackson Java JSON processor dependency in your pom file. Why Spring Framework and GWT? 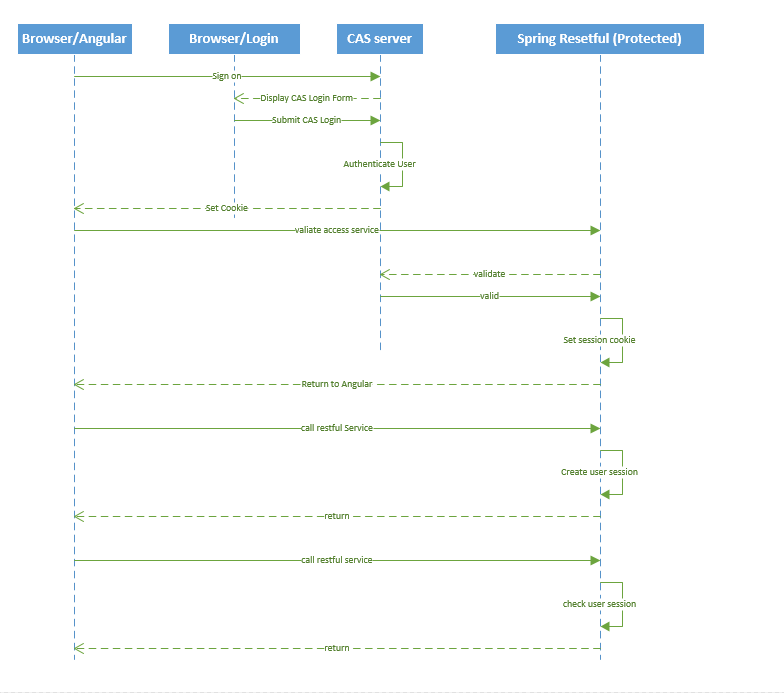 Spring Framework offers dependency injection, promotes POJO and unit tests. GWT is a popular Java framework to build rich internet application. Most GWT application needs to interact with a backend server. GWT RPC framework allows you to make calls to Java servlets. How do you use both GWT RPC and Spring framework? Use Spring DispatcherServlet to route the Http GWT requests to your class. 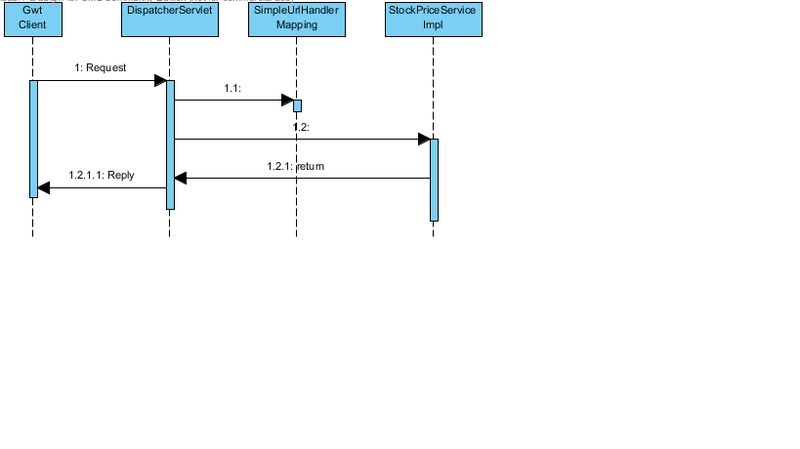 GWT team provides a simple tutorial: StockWatcher to demonstrate how to build GWT applications. I am going to show you the steps to use Spring Framework in this application. Add Spring Framework jar files to the lib folder in your projects. 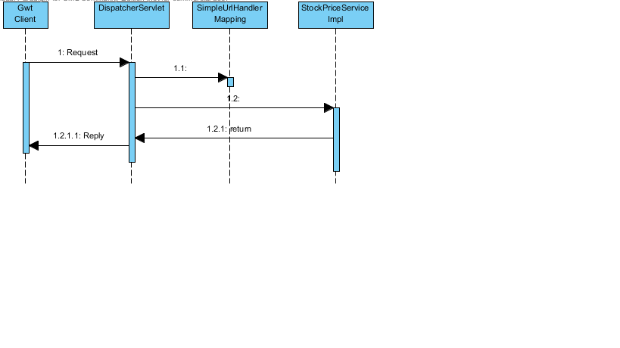 Modify existing StockPriceServiceImp class to implement Spring Control and add a new method: handRequest. Test your application and download the zip file attached. iBatis provides framework to use XML files to map JavaBeans to SQL statements. SQL mapping statements are externalized. You don’t have to code SQL statements in your java code and you can have different mapping files for different databases. iBatis allows you to use “$” dollar sign to perform wildcard search. However you may expose your application to SQL injection if you do that. We will build a sample application which allows users to browse SESS table. The SESS table has three columns: SESS_LNK, NM and OWNER. The application should not display sessions owned by other owners. iBatis generate the following SQL Statements for the dangerousSearchMethod when a user enters ' OR 'a%'='. The user has altered the SQL statements and is able to see sessions he or she is not supposed to see. iBatis generated the following SQL Statements for rightSearchMethod when a user enters ' OR 'a%'='. This search method allows wildcard search and it is SQL injection safe. Apache Camel allows you to integrate your business components using Enterprise Integration patterns. You need to process purchase orders from your web site or from your business partners. You like to send the purchase order to your accounting department and shipping departments. OrderProcessingRoute acknowledge the request using Spring bean. 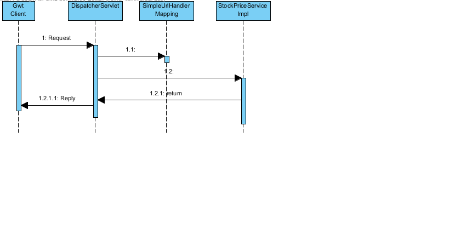 OrderProcessingRoute applies business rules using Spring bean. OrderProcessingRoute send the message to accounting department and shipping departments. Spring @PayloadRoot annotation instructs Spring to map xml “HolidayRequest” to “serveRequest” Java method. Source code and war files are attached. Why Spring WS and JAXB? Spring WS supports contract-first web services. Contract-first web services promotes loose coupling between contracts and implementations. Such a looser coupling allows companies to change implementations without worrying about affecting existing contracts. JAXB bridges the gab between Java and xml. JAXB implements the marshalling and un-marshalling functions so that you don’t have to implement xml and java mapping. You have a web site. How do you get your web site noticed by your potential customers? When people search key words in Google, Bing or Yahoo, it is vital for your web site to rank high in search engines to attract visitors and turn visitors into leads and sales. One vital SEO component is friendly URL. Unfortunately the default Seam URL is not SEO friendly. What is Tuckey URL Rewrite? UrlRewriteFilter is a Java Web Filter for any J2EE compliant web application server, which allows you to rewrite URLs before they get to your code. Developers can specify the inbound and outbound rules in the urlwrite.xml file. It is actually very easy. Just add the following lines to your web.xml file. Please look the Seam Bay application in Seam examples folder. How to create SEO friendly links? Seam bay is already configured to use UrlRewrite filter. So I made some modification to the home.xhtml. I used <h:outputLink> to expose category as SEO friendly links. How to process SEO friendly links? Step1: add an inbound rule rewrite rule in the urlrewrite.xml. How to integrate native SQL and Stored Procedures? 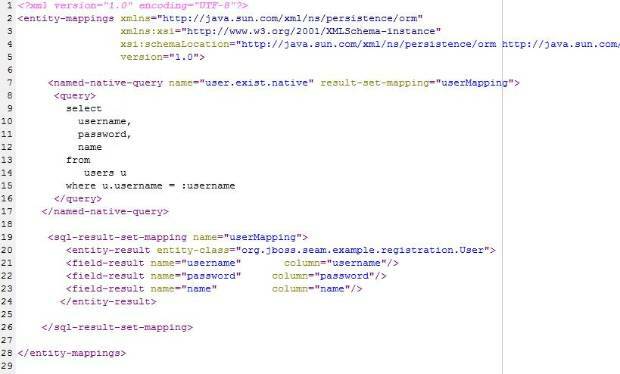 The example below demonstrates how to use SQL in the Jboss Seam registration example. 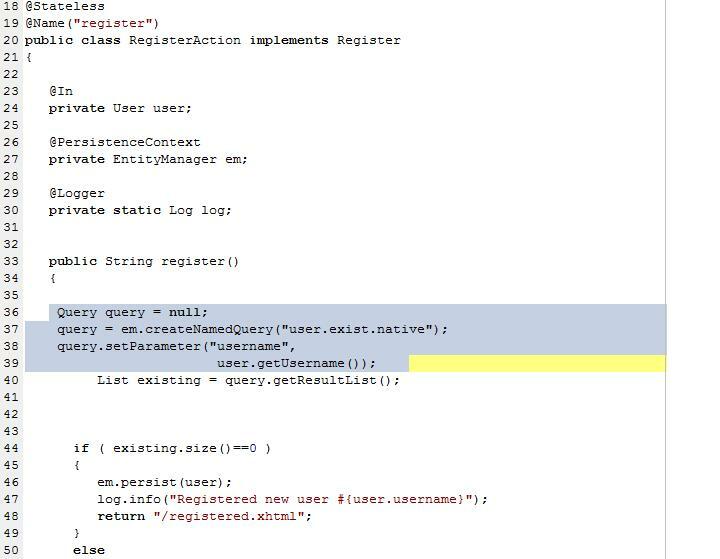 Sql queries are defined in orm.xml. 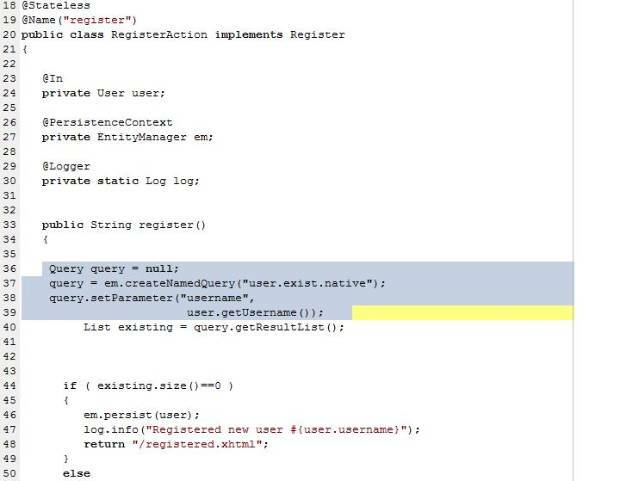 Register method is modified to use JPA named query API. The main benefit of using Facelets over JSF is that Facelets supports code reuse through templating and composite components. The example below shows how the address.xhtml template is used in the useraddresses.xhmtl file. A user has a mailing address and a shipping address. The address.xhtml is used twice in the useraddresses.xhtml. The big difference between Facelets template and JSP include is that you can pass object parameters from the including file to the template in Facelets and you can’t do that from JSP including file. What is the difference between Seam Managed Persistence and EJB managed Persistence Context? Transactional scoped EJB Persistence Context is bound to EJB transaction. You may get lazyinitializationexception when you try to display JPA lazy initialized properties in the next JSF page. Extended Persistence Context is bound to EJB Stateful session bean. You will not get lazyinitializationexception. Seam Managed Persistence Context can be used in POJO while EJB managed PC is only available in EJB. SMPC is default conversion scope. You don’t have to worry about the Lazyinitializationexception when you try to display JPA lazy initialized properties in the next JSF page.